It seems that no matter how many books I have, and want to display, I have about just as many that either are not titles that I want to keep or they are not vintage enough for displaying artistically. It seems that libraries have an over abundance of these books as well that they sell by donations. With all of the books available, I came up with some ideas for what to do with old books. 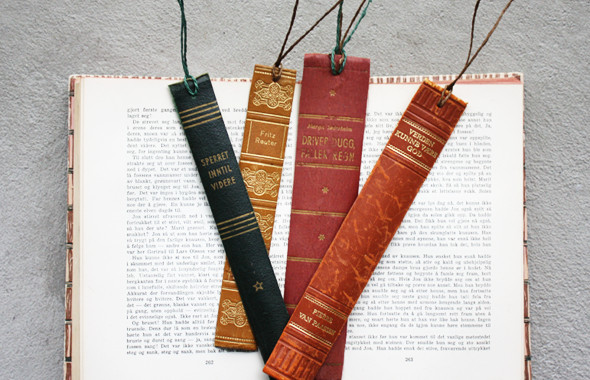 You may be surprised at the wide variety of craft projects out there that use every part of an old book. From the hard covers to just the spine and all of the pages in between, there is a way to use all of it! 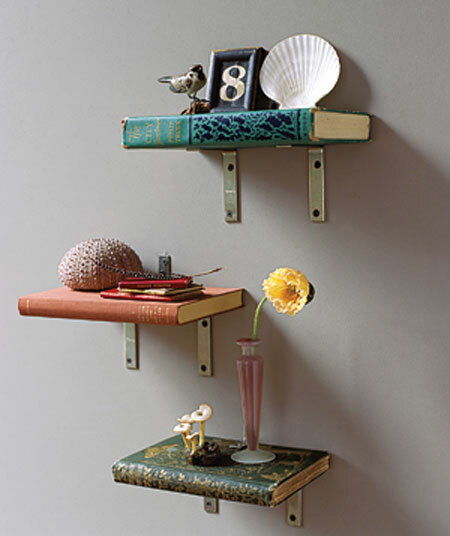 Here are some more ideas on what to do with old books. Not a shelf for books but a shelf using a book. It’s real easy to make a small shelf or two with some old hard cover books. All you need are some brackets! If you need a unique idea for a new planter, this next book project is perfect. 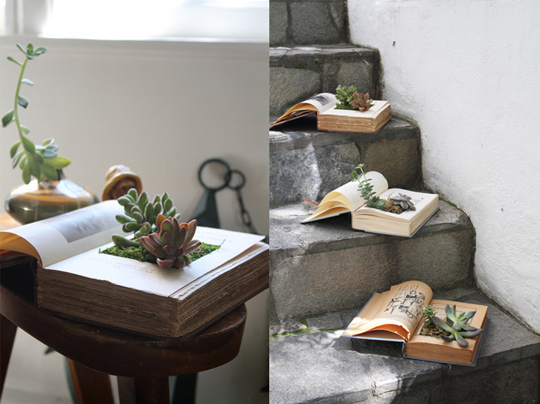 You can actually use a vintage book to create a very decorative home for a brand new plant. 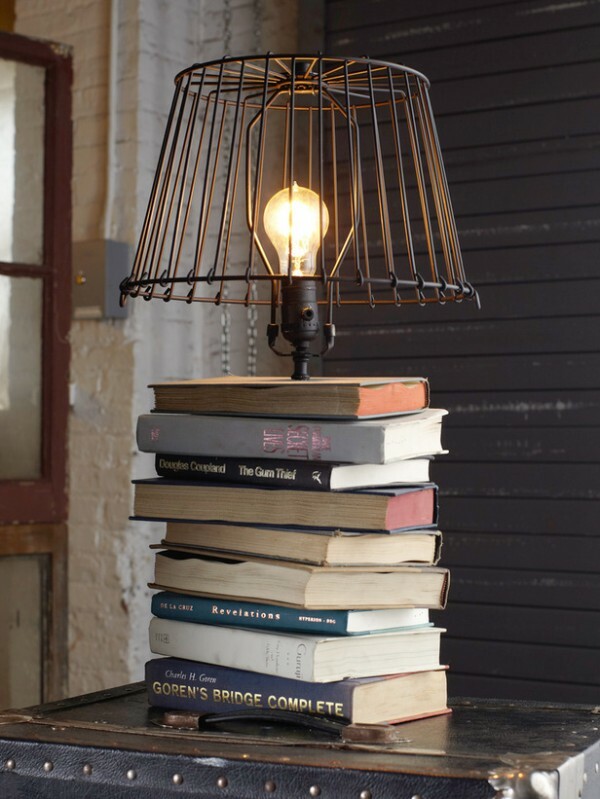 I absolutely love the look of this stacked book lamp with the industrial shade. 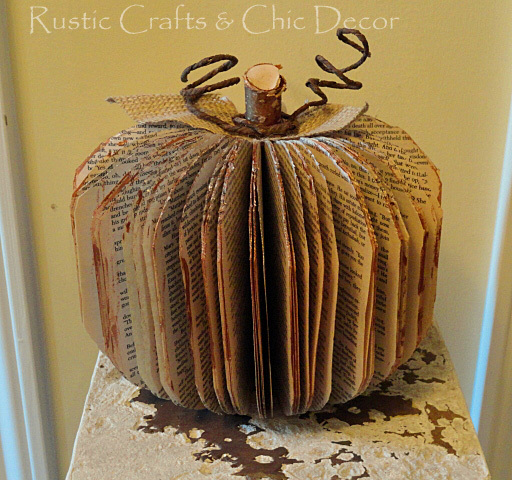 This next one is similar to my book page pumpkin but it is a fun vase. 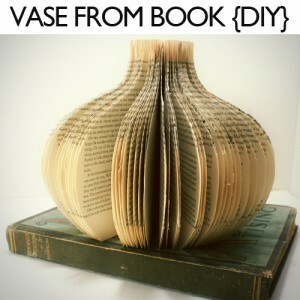 This fun book page vase is a great base for inserting artificial stems. 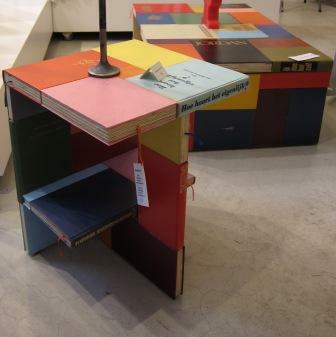 You can also actually make furniture with books! There are a couple of different methods given for joining the books together but the books are basically just used like building blocks to create something like this fun book table. Take those books that are falling apart and use the spines as decorative bookmarks for your newer books. And finally, this last idea is fantastic for using an old book cover as a disguise! 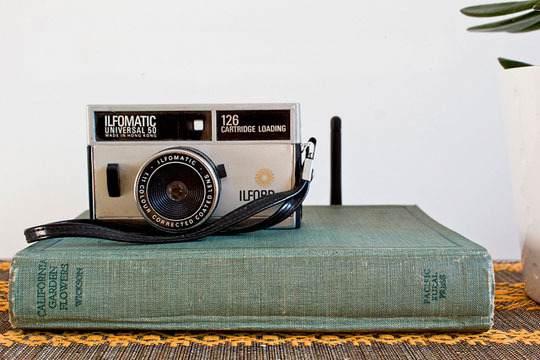 Take out the pages and insert something like a wireless router to get a much more decorative look — I love it! 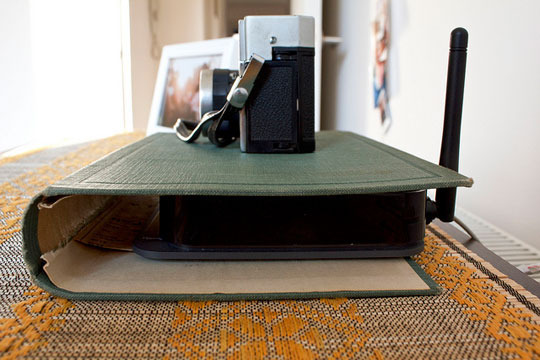 An old book cover can also be used to make a fun picture frame. 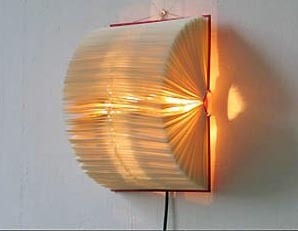 Do you have a unique idea for what to do with old books? Share your thoughts below! Gunzul, you can see the tutorial when you click on te pictures.